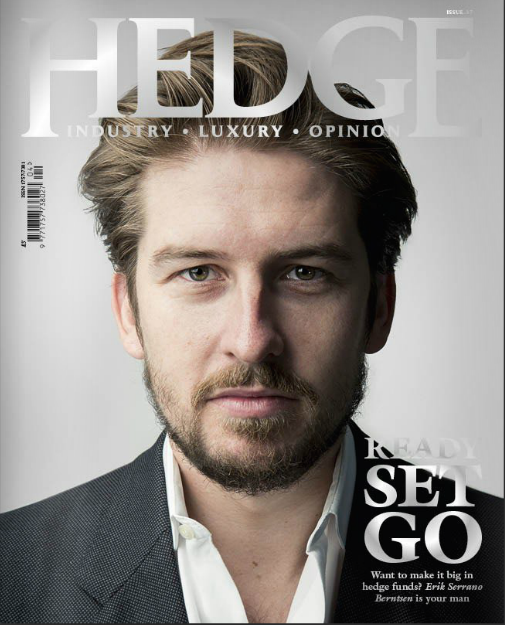 Hedge Magazine, September 2015. Original article p50-52. 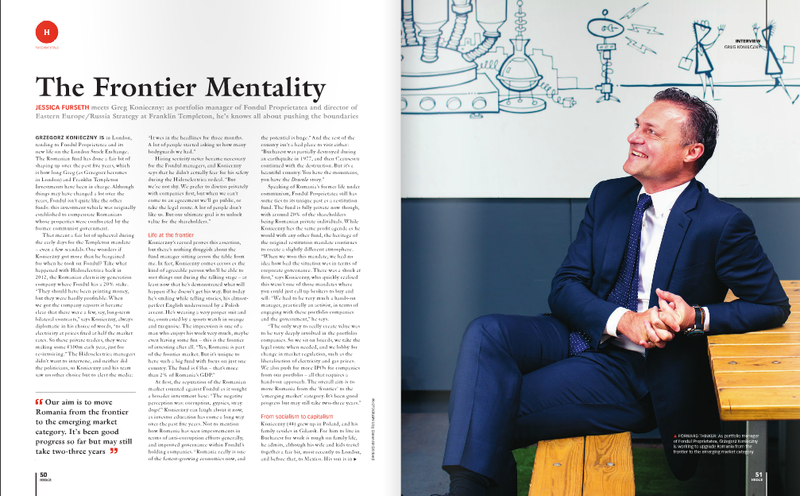 Grzegorz ‘Greg’ Konieczny, Portfolio Manager of Fondul Proprietatea and Director of Eastern Europe / Russia Strategy at Franklin Templeton Investments. Grzegorz Konieczny is in London this morning, tending to Fondul Proprietatea and its new life on the London Stock Exchange. 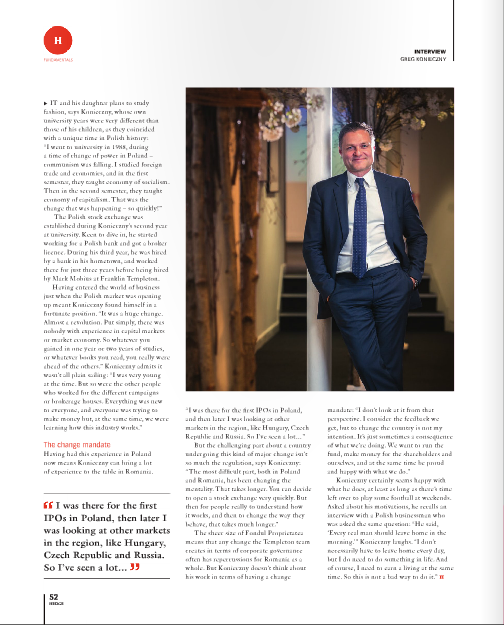 The Romanian fund has done a fair bit of shaping up over the past five years, which is how long Greg (as becomes of Grzegorz in London) and Franklin Templeton Investments have been in charge. Although things may have changed a lot over the years, Fondul isn’t quite like the other funds: this investment vehicle was originally established to compensate Romanians whose properties were confiscated by the former communist government. “I went to university in 1988, during a time of change of power in Poland – communism was falling. I studied foreign trade and economics, and I remember, in the first semester, they taught Economy of Socialism. Then in the second semester, they taught Economy of Capitalism. That was the change that was happening – so quickly!” The Polish stock exchange was established during Konieczny’s second year at university. Keen to dive in, he started working for a Polish bank and got himself a broker licence. During his third year, he was hired by a bank in his hometown, and worked there for just three years before being hired by Mark Mobius at Franklin Templeton. Posted on 09/25/2015 by Jess. This entry was posted in Investment and the market and tagged alternative investments, eastern europe, Fondul Proprietatea, Franklin Templeton Investments, Greg Konieczny, Grzegorz Konieczny, romania. Bookmark the permalink.